M Dias Branco, the market leader in biscuits and pasta in Brazil, has announced that it has agreed a deal to acquire its rival Piraque in a deal worth R$1.5 billion ($475 million). The company, which owns brands such as Adria, Richester and Vitarella, said that “the translation reflects M Dias Branco’s commercial strategy of accelerating growth in the South and Southeast regions, as well as expanding its portfolio with value-adding products”. 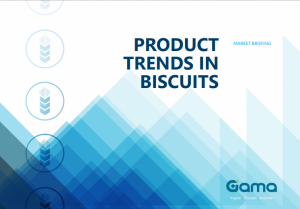 Rio-based Piraque markets over 150 product lines, including a broad range of biscuits, crackers and wafers, as well as pasta products and crisps, under its namesake brand. The company, which operates a factory in Rio state, generated turnover of R$717 million ($227 million) for the year ending September 2017. The deal is subject to customary closing conditions, including clearance from the Brazilian competition regulator.